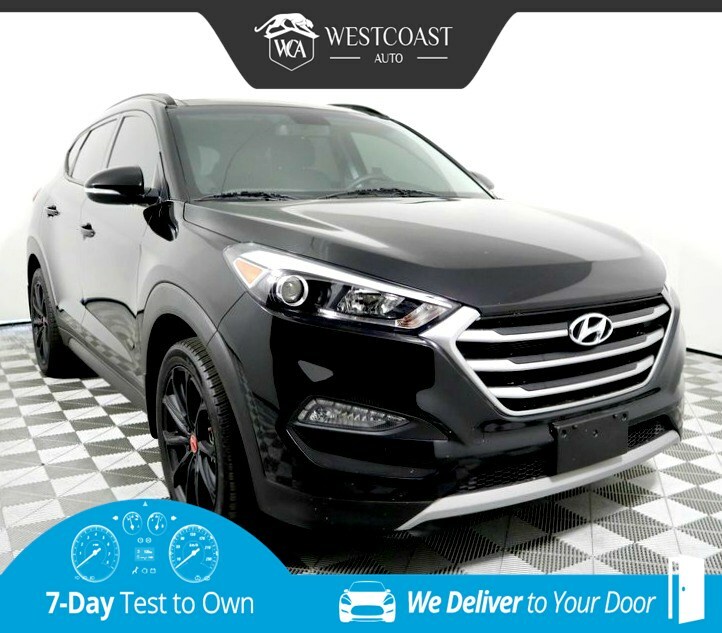 Our One Owner, Clean CarFax 2017 Hyundai Tucson Eco AWD in Black Noir Pearl over Grey interior checks all the boxes with its bold style, superior performance, and family-friendly comfort! It all begins with the 175hp 1.6 Liter Turbo 4 Cylinder that's perfectly paired with a 7 Speed EcoShift Dual Clutch Automatic. This All Wheel Drive delivers a confident ride and near 30mpg on the highway. Engineered and designed to inspire passion and excitement, our Hyundai Tucson Eco sports elegant contours, beautiful alloy wheels, chrome-tipped dual exhaust, projector headlights with LED accents, and roof rack side rails. You'll feel as though it has been tailor made to fit your needs with YES Essentials stain and odor-resistant seats, privacy glass, a rear view camera, LCD instrument cluster display, and more. Find your tunes on the color touchscreen audio with available satellite radio and set your sights on your next adventure! Did you see the sunroof? Our Hyundai Tucson Eco has been meticulously designed with safety systems including anti-lock disc brakes, stability and traction control, active front head restraints, front side airbags, and side curtain airbags. Delivering head-turning good looks, efficiency, performance, and a wealth of amenities, our Hyundai Tucson is practically perfect! Print this page and call us Now... We Know You Will Enjoy Your Test Drive Towards Ownership! Great quality, easy financing and affordable prices aren't the only things that make Westcoast Auto Sales the first choice of many discerning auto buyers. Stop in and See California's Dealer of the Year!